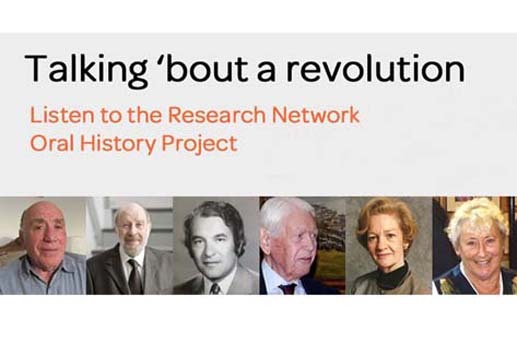 This brings the number of the Research Network Oral Histories on the MRS Website to 24. In addition, during 2017, two further Oral History interviews have been carried out, and with our new Oral History moderator Judith Wardle on board, we hope to have to have carried out another two interviews by the end of this year. Other Oral History approaches, such as ‘Vox Pop’ Interviews and the use on Category Specific Oral History Groups / Interviews, are also under development.